Alice's Antics: Would you like some tea? Last week, my blog began its 30 days of advertisement on Louise (Sprinkle of Glitter)'s blog. Louise also kindly writes a little piece on 10 of the blogs advertised, which included mine this month. What with her being a fabulous human and incredible blogger, the traffic to her posts are about 10000000x as much as mine, and thanks to this, a lot of new followers have come over into the world of Alice's Antics. If you're a returning reader, you may even have noticed I've given my blog a little 'spring clean', I'm hoping having a sun on my page will encourage the real sun to come out a bit more.... Anyway, I wanted this post to say a big welcome to everyone new! If I could offer you all a spot of tea and a custard cream (biscuit of the Gods) then I would. In fact, go and get yourself a cuppa before continuing to read the rest of this post. Or maybe something stronger. Who knows. So some facts about me, I am really very easy to please. I have a bizarre obsession with buying quirky mugs and stationary. One pay day, I bought £50 worth of Notebooks and the like... and the 1D DVD is also included in this price (woops!). I'm a self confessed book worm. If I like a good book, I will get through it in a couple of days easily, and I read absolutely anything from Jodi Picoult to Charles Dickens. Right now I'm going through a bit of a 'classics' phase, and am reading Frankenstein. When I read and watch films, I get really engrossed... to the point of embarrassment. In my everyday life, I hardly cry at all, but all it takes is a sad News report, or a Puppy advert and I will be bawling. I once went to the cinema with a fairly new 'beau' to see Monsters University, and I actually started crying at the Pixar short film before the real movie. Yup, I wish I was exaggerating. My favorite food is ice cream, and if I had to choose between Leonardo DiCaprio and Ed Westwick I think I would have to split my body in two. 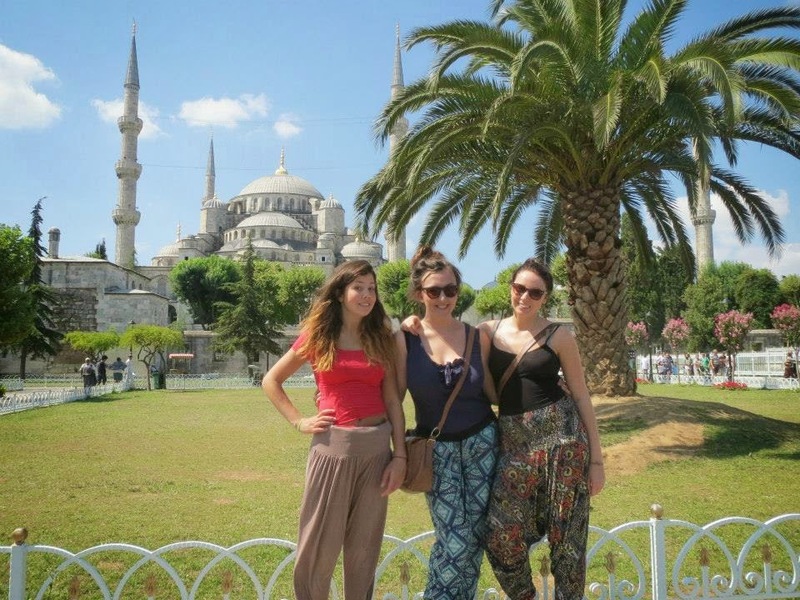 Last year I travelled around Turkey and Greece with two of my best friends, and it was both the most incredible and emotionally draining experience of my life. Other than my human best friends, my other best friend is my dog. I actually wrote a whole blog post on him once, just to convey to people how much I adore him. I'm a bit (a lot) of an internet freak and can honestly spend hours on my laptop at one time. Stalking, commenting, reading, writing.. you name it, I do it. Right now, I'm in between school and university living in Italy, on what us Brits like to call a 'gap year'. They contain a lot of soul searching, a lot of harem pants, and a lot of yoga. Mine also contains a lot of dieting, tanning and searching for an Italian husband to cook me pasta and pizza at my request. I'd absolutely love to get to know you, so feel free to comment or mail me on the email provided in my 'Contact' page! And welcome (or welcome back) to Alice's Antics! I hope you feel right at home here. I came to you through Louise's blog, and I'm so glad I did. You're one of my new favorite blogs! I feel like Louise has helped us very much in finding another beautiful blog and I have got to say that there is no turning back! I absolutely love your blog and it's so great to hear from you! Your gap year sounds absolutely wonderful and I hope that is hasn't been too much stress! I'm currently in year 11 getting ready for gcses! (FUN) But I have found that reading blogs has been a good ole destresser for me! So thank you! I'm hoping that your adventures will keep me positive through these rather pressing times but IT'LL ALL BE OVER SOON! You are so deserving of this recognition, Alice. No-one deserves it more than you. Hey, found your blog through Louise too, and its strange how much we have in common, I was an au pair in Italy (In Cremona not too far from Parma) for my gap year and am now at uni! Its making me miss italy! 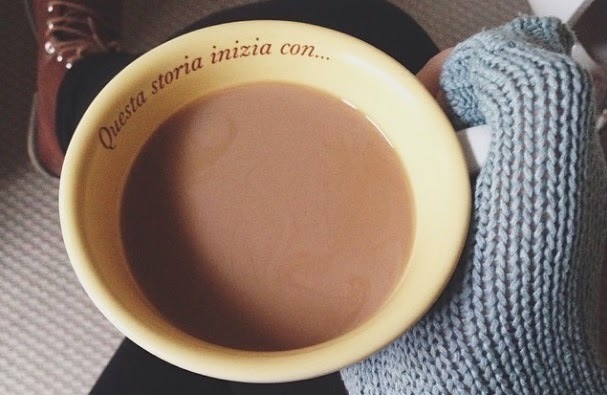 Really love your blog, and the writing and if you want any northern italy reccomendations then feel free to shout (or backtrack my blog haha) - gonna read back through yours now! Hi! Similar to the other commenters I also found your blog through Louise. I tried starting my own blog this semester but my posts about going to college in Boston are a lot less exciting than posts about taking a gap year in Italy. I'm looking forward to reading your future posts--and going through older posts too! Hi! I also found you through Louises blog and I'm so glad I did! I'm also an au pair, but in London. I would love to go to Italy though, it seems really amazing :) Going to read through your blog now!